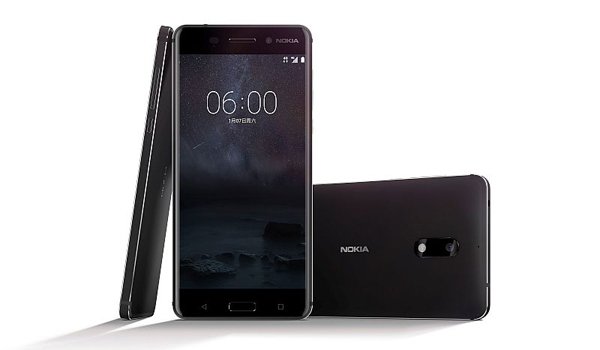 Nokia's much-anticipated comeback smartphone, the Nokia 6, was unveiled earlier this month without much fanfare. The smartphone will be going on sale next week in China. The company confirmed the news in a Facebook post. "Get ready! The Nokia 6 is coming to China! More announcements to follow on February 26th... Save the date! ", the post said. February 26 is a day before the Mobile World Congress starts in Barcelona, so we can expect HMD Global, the new custodians of the Nokia brand, to unveil more Nokia Android smartphones for markets other than China at the event. Additionally, JD.com, the retail partner for the Nokia 6 in China, kicked off registrations for the smartphone in China for its first sale on January 19. Priced at CNY 1,699 (approximately Rs. 17,000), the Nokia 6 will be going on sale in just Black colour. A Silver colour variant was spotted in the meanwhile however, on Chinese telecommunications certification site - TENAA. HMD Global had earlier confirmed that the smartphone will be exclusive to the Chinese market. At this point, it isn't clear whether Nokia is planning to launch multiple devices at MWC 2017, but it's likely based on recent leaks. We can expect to hear more from the brand in coming weeks. MWC 2017 kicks off on February 27 and goes on till March 2. The company has been rumoured to launch up to seven Nokia Android smartphones this year, apart from feature phones sporting Nokia branding. To refresh, the Nokia 6 features a 5.5-inch full-HD (1080x1920 pixels) 2.5D curved display with Corning Gorilla Glass 3 cover for protection. The smartphone is powered by an octa-core Qualcomm Snapdragon 430 processor coupled with 4GB of LPDDR3 RAM. It packs 64GB inbuilt storage which supports expendable storage via microSD card (up to 128GB). The smartphone runs on Android 7.0 Nougat and supports dual-SIM. Nokia 6 sports a 16-megapixel rear camera with dual-tone LED flash and PDAF. It also packs an 8-megapixel front camera. The handset comes with fingerprint scanner which is embedded into the home button and also supports Dolby Atmos. It measures 154x75.8x7.8mm and supports 4G. The handset is backed by a 3000mAh battery.